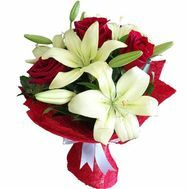 Bouquets of flowers are unique and universal gifts. 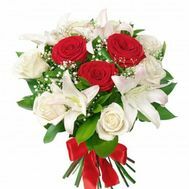 They can be presented to absolutely any celebration, to any person, regardless of his gender, age or social status. 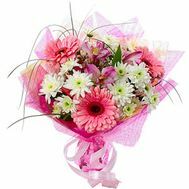 A bouquet can be congratulated, thanked, pleased, reminded of an important date or simply made pleasant to a loved one. 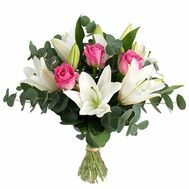 Our professional florists will be able to create a composition of fresh flowers taking into account all your even the most unusual wishes and strict requirements, or you can always get ready-made bouquets of flowers. 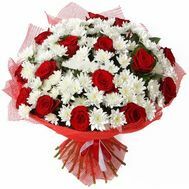 To our clients we offer a wide range of roses of different varieties, chrysanthemums, alstromeries, seasonal field and other colors. For fans of original compositions, it is possible to purchase bouquets of flowers in baskets with a thematic decor: these can be small works for decoration of tables at wedding events, large floor compositions as gift options or specially designed individual projects. 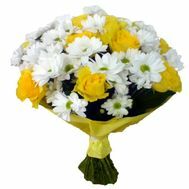 A convenient option for users was the opportunity to buy flowers with delivery in Ukraine: now residents of the regions have the opportunity to please their loved ones with elegant bouquets of high class! 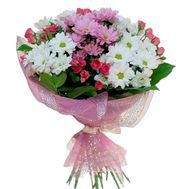 Delivery of bouquets is a good opportunity to surprise, congratulate relatives and friends from other cities, thank customers or partners for fruitful cooperation. 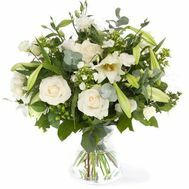 You only need to choose the necessary composition, discuss with the manager the necessary decor and pay for the order, and at the right time your recipient will receive a floral masterpiece! With this format of the order, time is saved, which is especially valuable on the eve of major holidays. 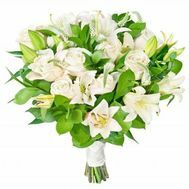 The offered assortment of colors and decorative elements allows us to offer a lot of interesting and uncommon bouquets for all occasions. 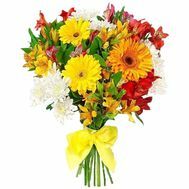 Competent specialists in the field of floristry will be able to choose for you the most successful combinations of colors in both visual and aesthetic format, and in accordance with the unspoken rules of the "language of flowers", because sometimes the bouquet can say what it is difficult to say for yourself. 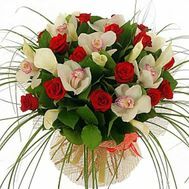 We realize all the importance and responsibility that you place on us, making out an order for bouquets with delivery across Ukraine, therefore in our compositions we use only fresh quality flowers and related materials. 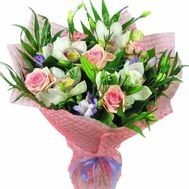 Our bouquets will please you and your family for a long time. 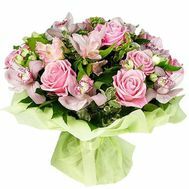 Offer flowers with delivery in Ukraine today is not many floristic companies or centers. 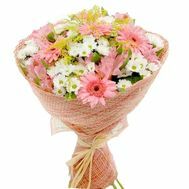 Choosing our online store of gifts and flowers, you choose quality, individual design and high level of service!